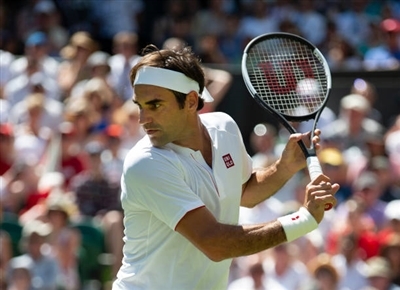 Roger Federer is a Swiss tennis player, one of the best tennis players ever. Currently ranked by ATP as world’s #2, he is the winner of 20 Grand Slam singles titles, the most in history for a male player. Moreover, he holds the record of being world #1 in the ATP rankings for 310 weeks. Roger Federer was born on August 8, 1981, in Basel, Switzerland. As a junior, he won 1998 Wimbledon in boys’ singles and doubles. Moreover, he won 4 ITF junior singles tournaments, including Orange Bowl. Before turning professional in 1998, Roger got to #1 in the junior world ranking and was called ITF Junior World Champion. He gained the first professional singles title at 2001 Milan Indoor. The same year, he reached the first Grand Slam quarterfinal at the French Open and later the Wimbledon quarterfinal. At 2002 Hamburg Masters, Federer earned his first Master Series event victory. 2003 was a breakthrough year for the Swiss. He won his first Grand Slam singles title at Wimbledon. He reached 9 ATP finals and won 7 of them. In 2004, Roger Federer won three Grand Slam titles at Australian Open, Wimbledon and US Open, becoming the first person to do so since 1988. Moreover, he won three ATP Masters Series 1000 events in Hamburg, Indian Wells and Canada in addition to the titles at Dubai Open and Swiss Open. The dominance of Federer consolidated in 2005. He won his third Wimbledon title in a row as well as titles at Indian Wells, Miami, Cincinnati, Hamburg, Rotterdam and Dubai. 2006 was one of the best seasons for the athlete. He won 12 singles titles and reached the finals at 16 of the 17 tournaments he took part in. He earned victories at Wimbledon, Australian Open, US Open, Swiss Indoors, Qatar Open, Indian Wells Masters, Miami Masters, Halle, Canada Masters, Tokyo, Madrid Masters and Tennis Masters Cup. In 2007, Roger reached all four Grand Slam finals, winning Australian Open, Wimbledon and US Open and becoming the only player in history to win three Majors in a year for three years. He also gained titles at Dubai, Hamburg Masters, Cincinnati Masters, Basel and Tennis Masters Cup. In 2008, he was the winner of US Open and 250-level events at Estoril, Halle and Basel. Also, he became a gold medalist of 2008 Olympic Games in doubles, partnered with Stan Wawrinka. 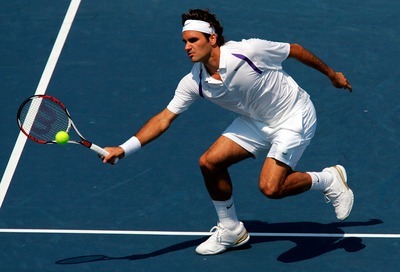 In 2009, Roger Federer won French Open and Wimbledon in addition to wins at Madrid Masters and Cincinnati Masters. In 2010, the Swiss was the champion at Australian Open, Cincinnati Masters, Stockholm Open, Swiss Indoors and ATP World Tour Finals. Among the titles, earned in 2011, are Qatar Open, Swiss Indoors Basel, BNP Paribas Masters and ATP World Tour Finals. In 2012, the athlete won Wimbledon, ABN AMRO World Tennis Tournament, Dubai Duty Free Tennis Championships, BNP Paribas Open, Mutua Madrid Open and Western & Southern Open. In 2013, his only achievement was the victory at Gerry Weber Open. In 2014, he gained victories at Dubai, Cincinnati, Gerry Weber Open, Shanghai Rolex Masters and Swiss Indoors. Roger Federer reached his 1000th career win in 2015 after winning the final of Brisbane Open. His other titles of the year include Dubai Tennis Championships, Istanbul Open, Halle Open, Cincinnati Masters and Swiss Indoors. In 2016, the athlete was recovering from the knee surgery and won no titles. 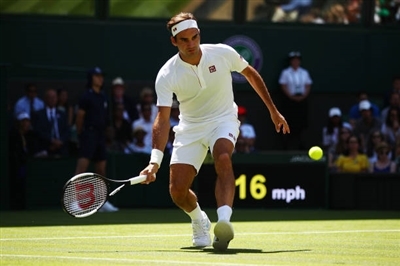 In 2017, Roger Federer had a renaissance period and the best season since 2007. He marked victories at Australian Open, Wimbledon, Indian Wells Masters, Miami Open, Halle Open, Shanghai Masters and Swiss Indoors. In 2018, the Swiss gained his 20th Grand Slam title at Australian Open. He was also the winner of Rotterdam Open and Stuttgart Open.